Bougainville is rich in copper,silver and gold. The mining of copper has been the cause of considerable tensions over the last fifty years, and has been related to both attempts at secession. In 1964, the first attempts were made to explore the island’s resources, when CRA Exploration, a subsidiary of Australian company Rio Tinto Zinc, began drilling in the Panguna area. 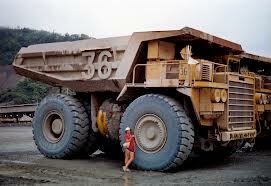 The Panguna mine, under their subsidiary, Bougainville Copper Ltd. began construction in 1969. The first independence movement began to arise in the late 1960s, as people began to air their grievances against the Australian colonial government over the handling of the Panguna mine. Australian External Territories Minister Charles Barnes was accused of telling the Bougainvillean people they would “get nothing”. The issue of compensation went to the High Court of Australia, where it was found that the compensation was inadequate under ordinary federal Australian law, but that as an external territory, Papua New Guinea was not guaranteed the same standards that applied to mainland Australia. In 1972, Bougainville was granted some degree of autonomy, but this did not end the secessionist movement. Relations between Bougainville and the mainland were not helped when, in December, 1972, two senior Bougainvillean public servants were murdered as payback for a road accident in the highlands of Papua New Guinea. This caused outrage on the island, and helped to consolidate the independence movement. 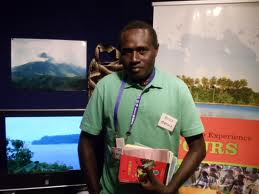 As a result, the Bougainville Special Political Committee (BSPC) was set up to negotiate with the Papuan government on the future of Bougainville within PNG. By 1974, they had reached a compromise with a Special Committee of the Papuan Parliament, which would have given them even greater autonomy, although not another key demand of the Bougainvillean negotiating team, which would have seen a share of the profits from the Panguna mine go to the people of Bougainville. However, the conservative Papuan government declined to follow key sections of the Committee’s report, and in May, 1975, negotiations between the two collapsed completely. There is not one single factor that should be isolated as a sole cause of the conflict. Instead, there is a series of predominant causes which can trace their roots directly to the Panguna Mine. Pan-Bougainvillean ethnicity should not be discounted as an important factor but should be seen as an external projection of economic and inter-ethnic grievances. On 28 May 1975, the Interim Provincial Government in Bougainville agreed to secede from Papua New Guinea. This caused a three-way impasse between the Government of PNG, the legislature in PNG, and the authorities in Bougainville. The PNG government made attempts to resolve the situation through June and July, but these failed, and the interim government announced that they would declare independence on 1 September, ahead of Papua New Guinea’s own independence on 16 September. On 1 September, they issued the ‘Unilateral Declaration of Independence of the Republic of North Solomons’. They sought international recognition through the United Nations, but were unsuccessful. They also failed in an attempt to be united with the Solomon Islands. In early 1976, the Bougainvillean government realised that they would have to accept Papua New Guinean sovereignty. This was supported by the ‘Bougainville Agreement’, signed later that year, which gave Bougainville widespread autonomy within Papua New Guinea. Independence was promised in 5 years, but was never granted. For the remainder of the 1970s, and into the early 1980s, relations between the two remained tense, but relatively peaceful. However, in 1981, disputes re-emerged over the status of the mine, and this would form the basis of the conflict which would turn violent in 1988. The mine at Panguna had been perhaps the most major sticking point between Bougainville and the mainland. 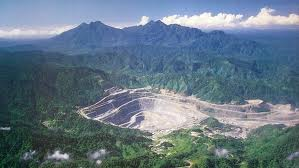 The mine was the largest non-aid revenue stream of the Government of Papua New Guinea from the nation’s independence in 1975 to the mine’s closure. It was vitally important to the economy of Papua New Guinea, but the people of Bougainville were seeing little benefit from it. Bougainvillean leaders alleged that the mine had devastating environmental consequences for the island. They also claimed that Bougainville Copper had set up a system of apartheid on the island, with one set of facilities for white workers, and one set for the locals. They accused Bougainville Copper Ltd., of being responsible for poisoning the entire length of the Jaba River, and causing birth defects, as well as the extinction of the flying fox on the island. These grievances led to the decision in late 1988 of two cousins and local leaders, Francis Ona and Pepetua Serero, to take up arms against the Papuan government. Ona himself had worked for Bougainville Copper, and had witnessed the effects the mine was having on the landscape of the island. In 1987, Ona and Serero called a meeting of landowners at Panguna, and as a result, the Panguna Landowners’ Association was formed, with Serero as ‘chairlady’, and Ona as General Secretary. They demanded billions in compensation from CRA — a total of half the mine’s profits since it began in 1969. A report on the SBS Dateline program, broadcast on 26 June 2011, states that Sir Michael Somare, at the time Papua New Guinea’s Opposition Leader, had signed an affidavit in 2001 specifying that the PNG government was acting under instruction from mining giant Rio Tinto. SBS reported on 27 June 2011 that the claim is vigorously rejected by Bougainville Copper Limited and Rio Tinto.